Zenport Z202 Heavy Duty Cut-n-Hold Crew Pruner, 1-Inch Cut, 8-Inch Long. 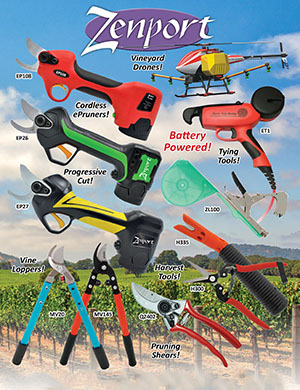 Perfect for cutting roses or other thorny plants. Bypass action provides a clean cut, cut-n-hold pruner allows the user to pull the cut stem out away from the plant. Die Cast Aluminum Handles.